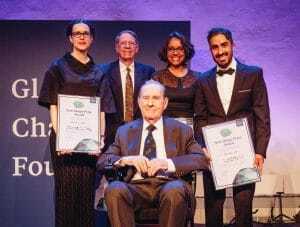 At a conference in Stockholm the winners of the The New Shape Prize competition were announced at an award ceremony on Tuesday. Arranged by the Global Challenges Foundation, the conference gathered over 200 participants from all over the world that convened for two days. From a total of 2,700 entries and around 60 semi-finalist submissions for the competition, the foundation had chosen 14 finalists over the past months. Based on these 14 proposals, the participants discussed in small groups the reshaping of global governance to better tackle global catastrophic risks. Three submissions were selected by the final jury and rewarded with 600,000 US$ each: Global Governance and the Emergence of Global Institutions for the 21st Century authored by Augusto Lopez-Claros, Arthur Lyon Dahl and Maja Groff, A truly global partnership – helping the UN to do itself out of a job by Natalie Samarasinghe and AI-supported global governance through bottom-up deliberation by Soushiant Zanganehpour. Originally, the foundation had announced that a total of five million US$ would be allocated. The first of the winning proposals envisions a revised United Nations Charter, instituting a reformed UN General Assembly directly elected by popular vote, a second chamber composed of representatives of civil society and a standing UN army, among other things. Natalie Samarasinghe suggests in her submission that existing decision-making bodies throughout the UN system should be extended to include non-state stakeholders such as businesses, non-governmental organizations or youth representatives. The third winning proposal elaborates on how various new technologies and institutions could decentralize global governance and introduce participatory and deliberative mechanisms. The foundation has published the finalist proposals and a curated selection of semi-finalists on its website for further reflection. The semi-finalist submissions include a proposal by Democracy Without Borders’ director Andreas Bummel featuring a world legislature composed of an assembly of state representatives and a parliament directly elected by the world’s citizens and an entry by Shahr-Yar Sharei of the Center for UN Constitutional Research, a partner organization of Democracy Without Borders, outlining a roadmap towards UN Charter reform. 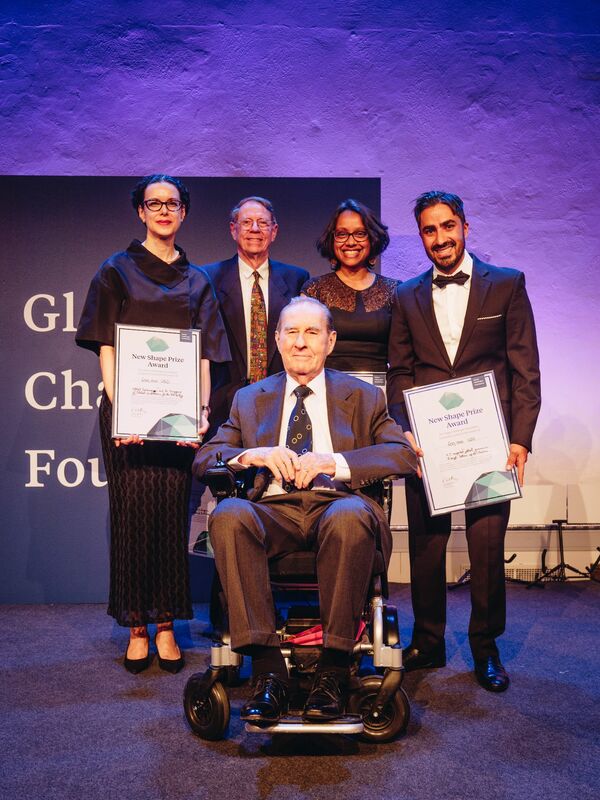 The Global Challenges Foundation was established and funded by Swedish financial analyst László Szombatfalvy who attended the award ceremony.